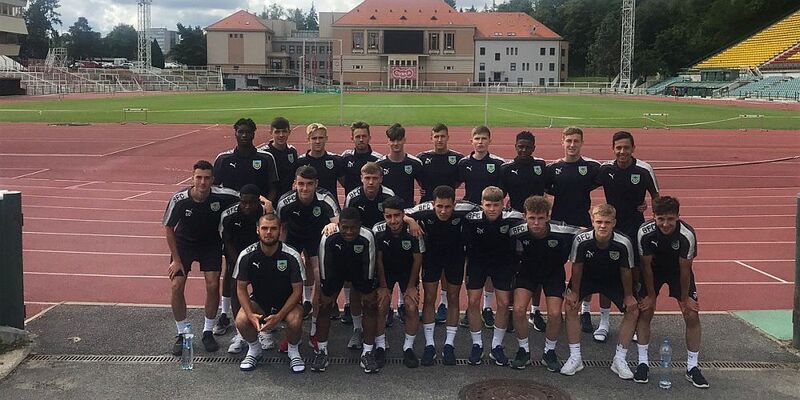 Burnley twice went in front this afternoon against Sheffield Wednesday in the U18 Professional Development League but had to settle for a point after the home side came back on both occasions to earn a 2-2 draw. Sam Layton opened the scoring with a powerful header from a Jordan Barnett corner some ten minutes before half time but Wednesday equalised just as it looks as if we would take a lead into the break. The lead was restored just past the hour with a superb chip from Tristan Jumeau who was returning after a spell out injured but Wednesday equalised for a second time with just a few minutes remaining. The Burnley team was: Aidan Stone, Jordan Cropper, Lewis King, Scott Wilson, Kwasinkosi Mpofu, Tristan Jumeau (Marley Blair), Sam Layton, Dan Moss, Jordan Barnett, Terry Mupariwa (Craig Ellison 57), Will Harris. Subs not used: Adam Bruce, Leighton Egan, Kian Yari.